Having a dog in Africaa is a cool thing. We have compiled a list of 17 do names in Nigeria for your pet. Actually, any name can be a dog’s name and whatever the name is the dog always responds to it identity. Though, some names are easier for dogs to own than others. Like they say: “Dogs are man’s best friend” you want to give your dog a name suitable for a friend – a name you like. In Nigeria, dogs have been given various names base on different reasons or just for fun. My grandmother named her dog “Efremfon” which means: People only forget your good deeds. I guess it was because of recent happenings at the time. If I own a dog today I would name him Salah because I am Liverpool fan, funny though….yea. Most dog names are gender independent – it does not depend if the dog is a male or female. Yet you have to be careful that the name you give your dogs does not invite trouble at the time and you should be conscious of the society. In recent times, there have been cases of dog names landing their owners in serious trouble due to the time we live in. Did some names surprise you? Don’t be. You might have seen your dog’s name above, if you did not let’s know what your dog name is in the comment section below. We love to hear about the opinion of our readers wo frequently read us, so don’t be shy like that (Share your thoughts). A dog is a friend. 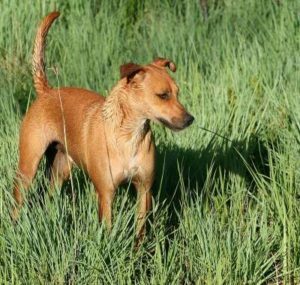 Share this African dogs names article with family and friend.